On March 12, a different set of wheels will dominate at Fernandina Beach Golf Club. That day, the club will host an auction put on by Bonhams Amelia Island in conjunction with the Amelia Island Concours d’Elegance, according to Sports Car Digest. 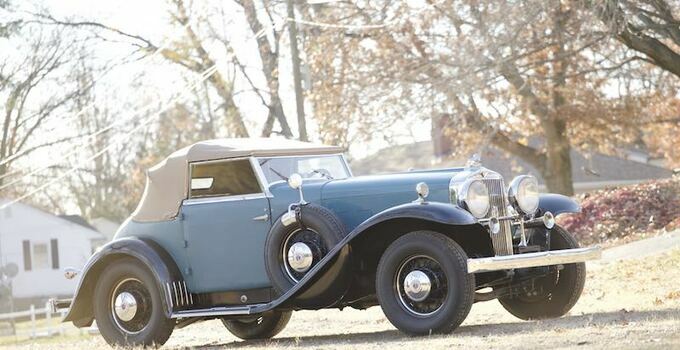 There are nine cars in the auction, including a very rare 1932 Stutz Super Bearcat. Only 10 of these cars, inspired by the success of the maker in the 24 Hours of Le Mans, were ever made. Just five are believed left to exist. The vehicle sports a double overhead cam, 32-valve 8-cylinder engine. The car is Stutz's ultimate combination of power in a light frame. Every car was tested in the factory to run over 100 mph. The Super Bearcat is joined by cars like a 1930 Ford Model A wagon and a 1959 Fiat 500 Jolly Roadster.